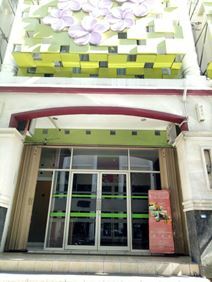 The centre is in Kuta Utara, Bali. The centre is located in the vila where restaurants in walking distance. Echo beach and Brawa Beach are easy to reach by scooter for five minutes. The kitchen is equipped with a microwave, coffee machine, Nespresso machine, a toaster, fridge and oven for your daily use. The centre is an ideal situation for startups, freelancers, and businesses of small sizes under same roof in a beautiful environment. Strategically located on the Jalan bypass Ngurah Rai, this premium grade office building offers flexible solutions from virtual offices to co-working space, meeting rooms and serviced office suites. Surrounded by a multitude of different businesses from all kinds of sectors. A co-working space with a relaxed ambience. Private offices and co-working desks are available. Skype booths are the ideal place for quiet video-chats. Enjoy 24/7 access to the space. Situated on Jalan Nakula, in Sara Residence building. Close-by, there are countless bars, cafes and restaurants. It is a 19 minute walk to Double Six Beach and 24 minutes to Legian Beach. It is a 22 minute car journey to Ngurah Rai International Airport. A co-working space with excellent amenities. There is an air-conditioned sports bar and restaurant. Administrative and IT support are available. Exciting features of this space include a water park, lap pool and sauna & steam rooms. Situated near to Canggu Beach, just off Jalan Pantai Berawa. In the surrounding area, there are many bars, shops, restaurants, hotels and cafes. It is a 46 minute drive to Ngurah Rai International Airport. Private offices and co-working options are available. Choose from dedicated and hot desks. There is a cafe located on the ground floor of the building. Plenty of power points are available, ensuring that you stay fully-charged. 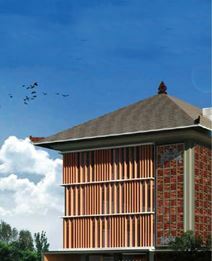 Situated on Bypass Ngurah Rai, in a three storey building. Within a 10 minute walk to the space, there are countless bar, cafes and restaurants. It is an 18 minute drive to Ngurah Rai International Airport. Situated 10 minutes from Ngurah International Airport , this modern office building is home to banks, financial institutions and a number of local and multinational companies. Located on Istana Kuta Galeria, Kuta-Badung this space has access to parking and is in the prime location to accessa wide variety of shops, hotels, restaurants, cafes, bars and is only a short distance away from Kuta beach. Ideal for professionals looking for a place to keep up with their busy work while abroad. Excellent working space for freelancers, professionals, entrepreneurs and small company owners that will accommodate your needs when working in Bali with a wide range of services on offer. Choose between a virtual office, co-working desk or private office. Rent a meeting room on hourly basis and access the other amenities such as high speed wireless internet, common areas with space to relax and a pantry where you can prepare your delectable lunch, have tea or coffee with a fellow working or fix yourself a snack to get rid of that three-thirty-itis. Reachable in 45 minutes from Ngurah Rai International Airport and directly connected to Ibis Styles Hotel this business center provides fully furnished and equipped office suites and meeting room ideal for anyone looking for flexible workspace in Bali. A co-working space with an excellent amenities. Cool off in the dipping pool or lounge in the sun on the park bench. Indoors is fully air-conditioned. Three meeting rooms are available. Situated in South Bali, in the heart of Seminyak. It is a 24 minute drive to Ngurah Rai International Airport. Nearby, there are numerous eateries, hotels and hotels. It is a 10 minute car journey to Double Six Beach.